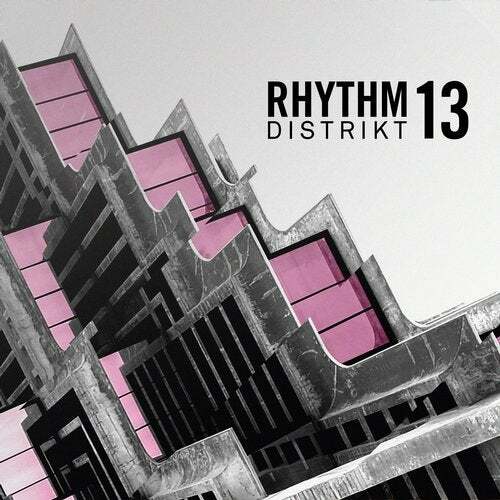 Rhythm District is back with its thirteenth instalment in the Techno driven series. Featuring 100%% brand new exclusive material from label favourites Spartaque & The Reactivitz who have teamed up to produce the heavy hitting 'Techno Home', Optimuss who joins forces with newcomer Teknoize to deliver the dark masterpiece 'Brauberg' and TKNO collaborates with Dee Marcus bringing the perfectly produced, peak time roller 'Eyewave'. Joe Mesmar is welcomed back to the label with the enchanting groover 'Literally', Jayforce makes his second appearance to the series with the instantaneously catchy 'Take Me' and we also introduce fresh faces The Junkies with their haunting 'Parts & Labour' debut. Dino Maggiorana, Durtysoxxx, Anti-Slam & W.E.A.P.O.N., LE:ON & Roman Garnet complete the package giving you 10 killer Techno weapons to add to your collection.